“Whatever can happen, will happen”. And in this case, the result is Interstellar; yet another creative masterpiece to add to the Nolan catalog. Having already taken us to the dream world, to Gotham, to Alaska and back (with substantial success each time), Christopher Nolan’s latest adventure brings audiences to the far reaches of outer space in the most captivating way yet. However, don’t expect this to be the next Gravity as far as having something pretty to stare at. 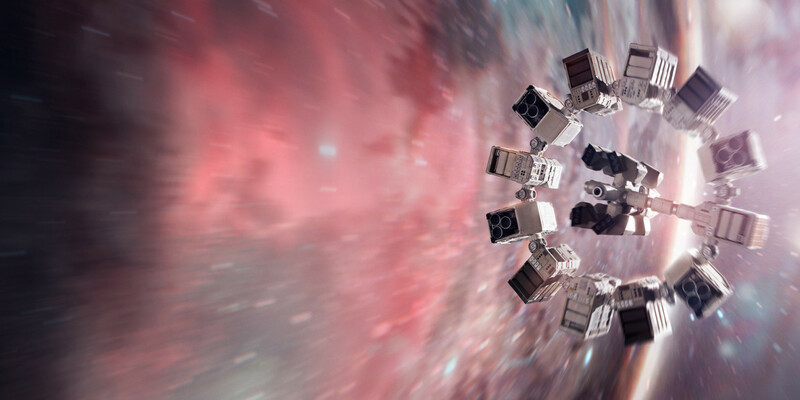 Interstellar is an immensely innovative picture that makes you want to invest in its story and characters for the near-three hours you spend watching it (for the record, that’s about double the runtime of the aforementioned movie). Matthew McConaughey plays Cooper, a farmer in a near distant future where Earth is becoming less of a sustainable environment for human life. He lives with his son Tom, his daughter Murph, and husband-in-law Donald (John Lithgow), where a seemingly supernatural occurrence of gravity leaves a binary pattern of coordinates in Murph’s bedroom. The coordinates lead Cooper and Murph to the remaining forces of NASA, which was thought to be shut down years earlier. There, they meet Professor Brand (Michael Caine), his daughter Amelia (Anne Hathaway), and a group of astronauts who claim to have a plan that could save the human race from their dying world. Agreeing to take part in the plan that would launch the shuttle Endurance into the far reaches of space, Cooper decides to leave his family in order to join Amelia, Romilly (David Gyasi) and Doyle (Wes Bentley). Also accompanying the team are two adaptable robots called TARS and CASE, who have spot-on human personality levels (if JARVIS met HAL 9000 and they took the physical form of a Minecraft character). The actual mission: to travel in the footsteps of the Lazarus Mission; which years earlier was lead by a team of similar explorers through a wormhole, in order to test out a handful of possible planets that could act as the new home world for humans. As the film progresses, it becomes abundantly clear just how minuscule a few humans are in the grand scale of multiple galaxies. Facing perilous setbacks upon arriving on these new planets, the crew of the Endurance realizes that with every loss means a greater motivation to reach their goal. One of the potential planets ends up having a remarkable ratio of time when compared to Earth: every hour spent in its atmosphere passes seven years back on Earth (this is where we meet Jessica Chastain as 30-year old Murph). Another world pits the team against one of the lost Lazarus Mission crew members, played by an uncredited actor who adds another level of epic entertainment. Without getting too far into its heavily layered narrative (and trust me, the more you leave yourself to discover while watching the film the better), Nolan provides one of the most compelling stories told since Inception. From start to finish he tosses audiences right into the center of this extremely immersive story in which he tackles space, time, and dimensions in an effortless yet mind-bending method. He once again reaches and finds the best in his cast, and is able to achieve one of the largest sci-fi spectacles of all time. 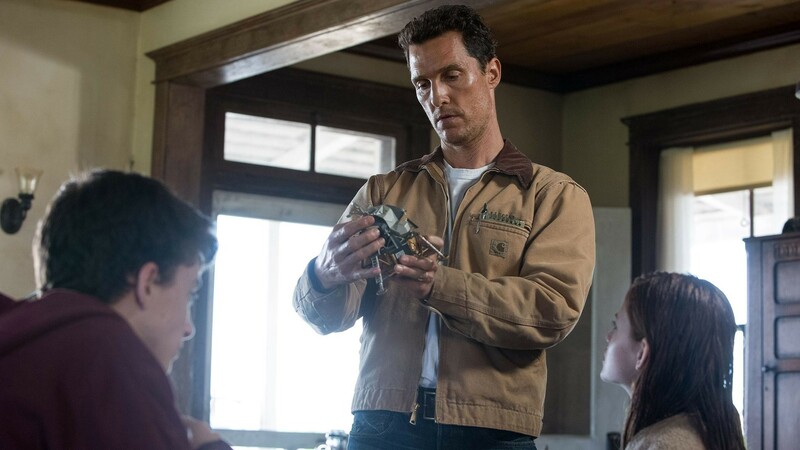 McConaughey makes his return to a starring role since his Oscar win last year, and is easily part of a perfect-choice casting for his character. Cooper has no easy task; to save the human race, while being torn by leaving his children behind. At certain points this emotional stretch has chances of jeopardizing their mission. The same goes for Hathaway, a Nolan-alumn who in her own hypocritical way deals the inevitable fate of the man she loves. Jessica Chastain is another spot-on casting choice who helps drive the final two acts of the film. On the other hand, there were certain cast members that felt a bit out of place. For instance, Topher Grace’s character could have been played by anybody really. Casey Affleck, who plays the older version of Cooper’s son Tom, also seems to be incredibly underused in relation to Chastain’s Murph. Aside from a couple of distastes though, Nolan has once again thrown together A-list ensemble that plays off each other incredibly well. Frequent Nolan collaborator Hans Zimmer scores Interstellar with a booming soundtrack, which will stun you in the IMAX-shot sequences. Speaking of which, IMAX is without a doubt the ideal method of seeing this one. Unfortunately, one Nolan-alumn is absent from the film, as regular cinematographer Wally Pfister was sidelined, due to a conflicting schedule of his directorial debut Transcendence earlier this year. Taking the wheel is Her cameraman Hoyte van Hoytema, who shoots just about as gorgeous and stunning of a film you could possible ask for. 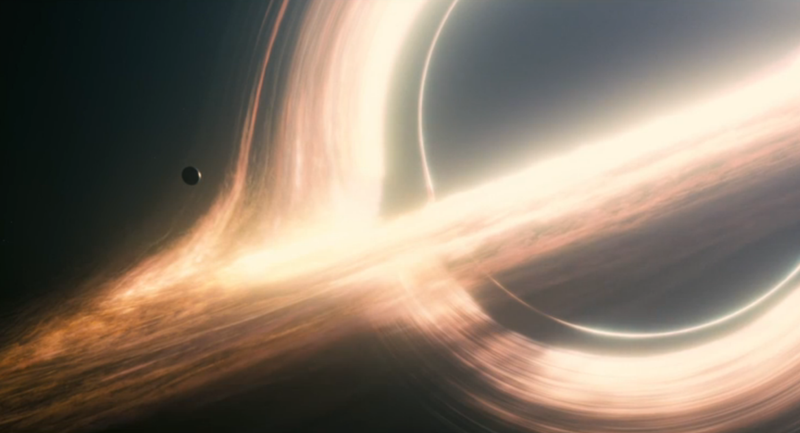 Shot on 70mm and 35mm film, rather than digitally, certain shots in Interstellar are jaw-dropping, including (but nowhere near limited to) when the Endurance crew passes by Saturn on their journey, and their journey through the galaxy’s wormhole named Gargantua. 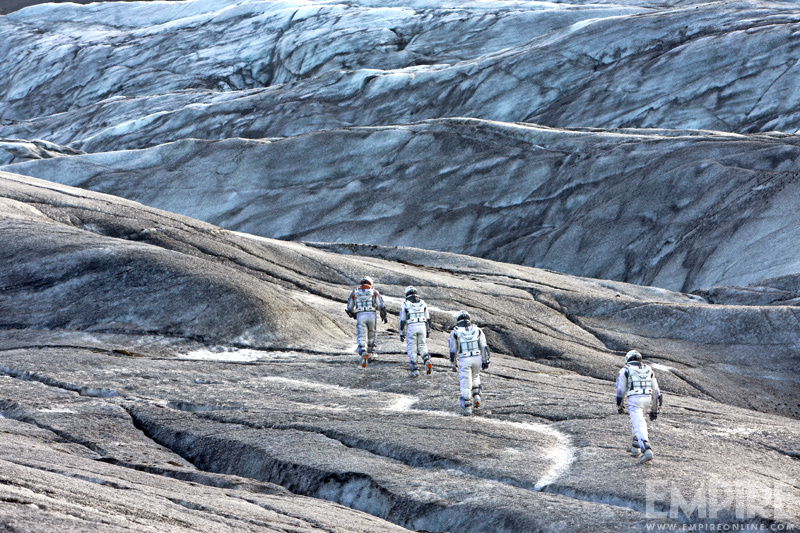 Interstellar is a modern space odyssey with just about everything going right for itself. Christopher Nolan captivates your mind for nearly three hours of immense storytelling, the bending of time and space, and beyond-beautiful shots that will take you for the most thrilling ride of the year. Lead by a cast you couldn’t ask any better from, Interstellar is a story that leaves you wondering where Nolan could possibly take us next. Really enjoyed this one, if I am comparing much more than Inception and Gravity. Didn’t love the performances outside of McC and Foy, but they were solid. 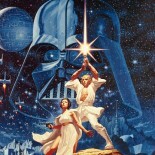 I would definitely see again in theaters, but hesitate due to the runtime lol! Haha it was a long one for sure. The performances may not have been award-worthy, but for what their purposes were, they were able to serve them. This one drew from a lot of influences, and I left out “2001” aside from a brief HAL reference. But it was amazing how non-cliche it felt throughout. This entry was posted on November 10, 2014 by Josh the Reel Freak in Reel Reviews and tagged Anne Hathaway, Casey Affleck, Christopher Nolan, Film, Film Review, Interstellar, Interstellar movie, Jessica Chastain, Matthew McConaughey, Michael Caine, Movie, Movie Review, Review, Sci-Fi, Space.